A topic that we’ve talked about here on the EXAIR blog discusses the costs of compressed air and how to use it more efficiently. How can you determine the costs of your compressed air? The first step you’ll need to take is to quantify the flow. In order to do that you’ll need a measurement tool such as the EXAIR Digital Flowmeter. The Digital Flowmeter is available from stock for use on Schedule 40 pipe with sizes ranging from ½”-4” I.D. Sizes up to 6” for Schedule 40 and ¾”-4” for copper pipe are also available. With a digital readout display, it’s easy to accurately monitor your compressed air usage throughout the facility. Creating a baseline of your usage will allow you to understand your compressed air demand, identify costly leaks, and replace inefficient air products. The Digital Flowmeter installs in minutes with help from a drill guide and locating fixture to assist in mounting the Digital Flowmeter to the pipe. Two flow sensing probes are inserted into the drilled holes in the pipe. The meter then seals to the pipe once tightened. There is no need to cut, weld, or do any calibration once it is installed. With blocking rings also available, installation can be permanent or temporary. The newest addition to this product line is the Digital Flowmeter with wireless capability. Using a ZigBee® mesh network protocol, data is transmitted to an Ethernet connected gateway. This allows you to mount the Digital Flowmeter in areas that you may not be able to easily access and wirelessly monitor and graph the usage with the EXAIR Logger software. Take a peek at this video blog for a demonstration of the use of a wireless Digital Flowmeter software to compare an open pipe to an engineered Air Nozzle. In addition to communicating wirelessly with the gateway, the Digital Flowmeters can “piggyback” off of each other to extend their range. Each meter has a range of 100’. Using multiple Digital Flowmeters within the same ZigBee® mesh network, data can be passed from meter to meter to extend the distance over which the meters can operate. These can be installed on each major leg of your compressed air system to continuously monitor usage throughout the facility. If you’d rather go with a hard-wired data collection method, the Digital Flowmeter is also available with a USB Data Logger. Simply remove the Data Logger from the Digital Flowmeter and connect it to the USB port of your computer. The data can then be viewed directly in the accompanying software or exported into Microsoft Excel. If you’d like to get a clear view of your compressed air usage, give us a call. An Application Engineer will be happy to work with you and get the proper Digital Flowmeters installed in your facility! “You can’t manage what you can’t measure” might be the most popular axiom in any process improvement endeavor. And it’s true. We hear it almost every time we discuss a Digital Flowmeter application, and a conversation I just had with a customer was no exception. 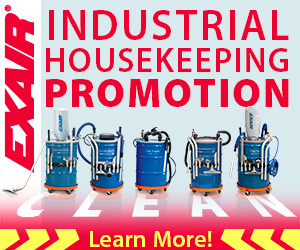 Their business is growing, and they’re pushing the limits of their compressed air system. The use compressed air to run their CNC mills in their machine shop, for blow off/cleaning as they assemble products, as well as a variety of pneumatic tools throughout the shop. The CNC machines’ air load was pretty consistent…the rest of the shop; not so much. So they wanted to find out when their compressed air demand peaked, and what it peaked at, in order to make a more informed decision about upgrading their compressor. From your Digital Flowmeter to your computer screen, the USB Data Logger tells you how much air you’re using…and when you’re using it! So, they purchased a Model 9095-DAT Digital Flowmeter for 2″ SCH40 Pipe, with USB Data Logger. They installed it immediately, with the USB Data Logger set to record once a second…this told them their consumption at any given time over the course of the day. Every day at closing time, the shop manager pulls the USB Data Logger from the Digital Flowmeter and transfers the data to his computer. After just a few days, he knew exactly how much air they were using…and exactly when they were using it. He’s now using this data (in the short term) to plan certain operations around peak scheduling, and (in the long term) to know what they’re looking at for their next air compressor. 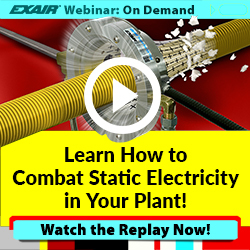 Do you know as much about your compressed air usage as you should? If you’d like to talk about how to measure…and manage…your air consumption, give me a call. Why Measure Compressed Air Use? One of the best analogies I’ve heard to explain the importance of monitoring compressed air related to banking. With any bank account there are deposits and withdrawals, and if withdrawals exceed deposits, problems ensue. So, most people/businesses/institutions have systems in place to monitor their banking accounts, ensuring that there is always enough of a balance in the account to cover expenses. The same is true for a compressed air system. If the demand exceeds the supply, problems ensue…Lowered pressure and force from compressed air driven blow offs, irregular performance within pneumatic circuits of CNC machines, and general decline of any devices on the system all begin to occur when demand exceeds supply. So, this begs the question of how to prevent a mismatch between compressed air demand and available supply. Enter the Digital Flowmeter. The entire purpose of the Digital Flowmeter is to provide a method to see (in real time or over a specific period of time) what the existing demand is within a compressed air system. This quantifies the “withdrawal” into an output that can be compared to what is produced by the compressor, allowing for analysis and proper balance of the system. This Digital Flowmeter allows for monitoring compressed air usage quickly and easily. The USB Data Logger installed onto this unit allows for collection of compressed air flow data. The application photo at the top of this blog shows the DFM being installed to do just that. This unit is being set up to use a USB Data Logger to capture compressed air flows at a customer-chosen time interval. 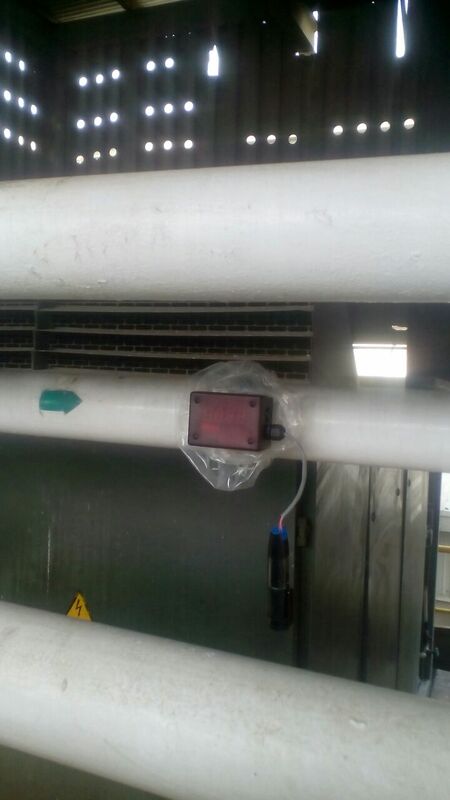 By monitoring their compressed air flow, this customer can optimize their compressed air system (align output of the compressor with demand of the facility), determine whether there are any leaks in the system, and determine the effectiveness of the compressed air which is being used. It is important to remember that compressed air is the most expensive utility in any industrial facility. Failing to monitor the system is akin to blindly writing checks on your bank account. Proper system performance starts with proper monitoring, which the Digital Flowmeter easily provides. If you’re interested in learning more about monitoring your compressed air system, contact an EXAIR Application Engineer. We’ll be happy to discuss specifics and options available. What is the USB Data Logger for Digital Flow Meters? How Can It Help Me? The USB data logger works with all of EXAIR’s Digital Flow Meters and provides valuable feedback for optimizing your compressed air system. EXAIR’s Model 9147 USB Data Logger has become one of the most valuable tools that we sell to help customers get a “view” of their compressed air usage over time. One of the important tenets we promote at EXAIR is energy savings by prudent use of compressed air through our engineered solutions (Air Knife, Air Nozzles, Air Amplifier, etc.). But how does a person in charge of such systems really “know” whether they are helping or hurting their compressed air system? 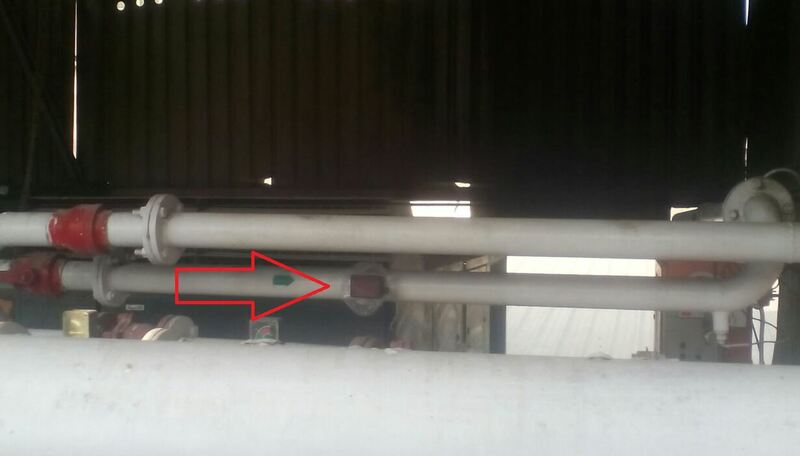 The first step is to have an appropriate flow meter which can give an indication of how much air volume is being used. 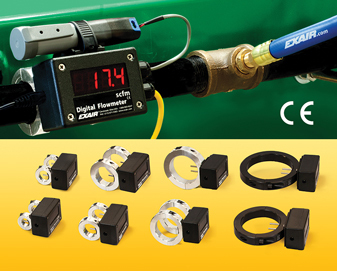 EXAIR’s line of Digital Flow Meters are perfect for getting to that point with instant and direct readings that don’t need to be calculated any further. What you see on the meter is the flow in either SCFM or m3/hr calibrations. The second step is to attach the USB Data Logger to the Digital Flow Meter so that readings can be kept over time. It is like setting up a security camera for your compressed air system. Nothing gets by without being recorded. The USB Data Logger can be connected to just about any type of monitoring system that has a 4 – 20 mA output to which the 2-wire harness can be installed. A quick and easy initialization to choose the unit of measure, to select the frequency of measurement and some optional alarms is all that is necessary. The software package is included with the USB Data Logger and is convenient to run on a typical desktop or laptop computer. You simply, set it and forget it (at least until you want to do some reporting). The reporting is how the USB Data Logger can help you as the person concerned with monitoring the compressed air use in your facility. Once the defined monitoring period of time has passed, the USB Data Logger can be removed from its socket, stopped from recording and the data is then downloaded into a suitable format that can be imported into EXCEL or other spreadsheet program for creating charts to analyze what is happening, when it is happening and how much compressed air is being used. In the analysis, you can compare the flow data and times with certain problems in a production line that might cause low pressure condition which shuts machinery down. You might also be able to determine where additional, point of use compressed air storage might be needed close to certain processes. Ultimately, the USB Data Logger allows you to “see” your compressed air system in a way that allows you to sleuth out problems seen that might have no other explanation. It can also help you to justify your air savings when you apply the other air saving compressed air products that EXAIR produces by monitoring a base line for “before” performance and “after” performance. After all, it if is important to your organization, it should be measured. And compressed air is certainly a utility that should be measured. Last week I went on the annual trip to Topsail Island, NC with my family and all of the in-laws. The week lends plenty of time to relax, play on the beach, see a shark 10′ away from you in the water…you know the normal stuff. I couldn’t help but think as to what my next project at home needs to be, not a “real” project at home but one I will enjoy, a hobby project if you will. 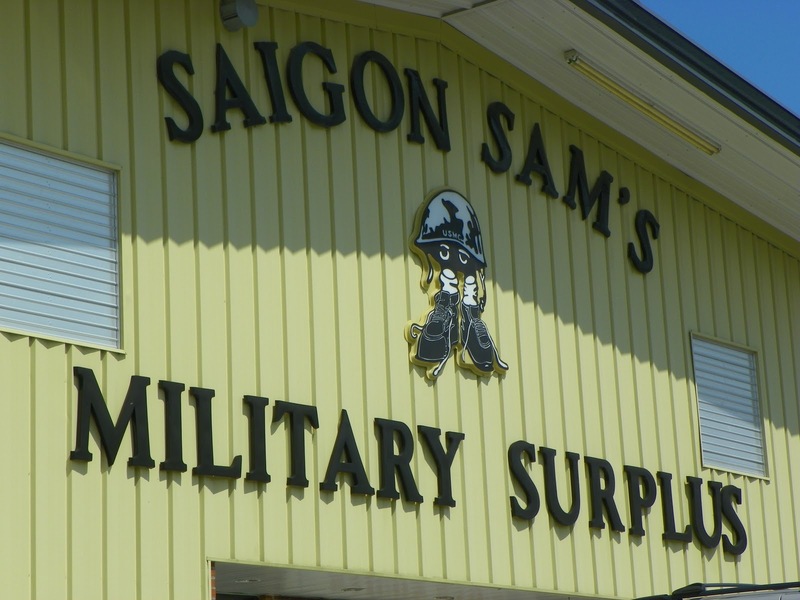 I went to my favorite place in North Carolina for some much needed relaxation and input, Saigon Sam’s, a military surplus store. It’s really more than just a military surplus store, it has that museum feel as well due to all of the relics and weapons it showcases. 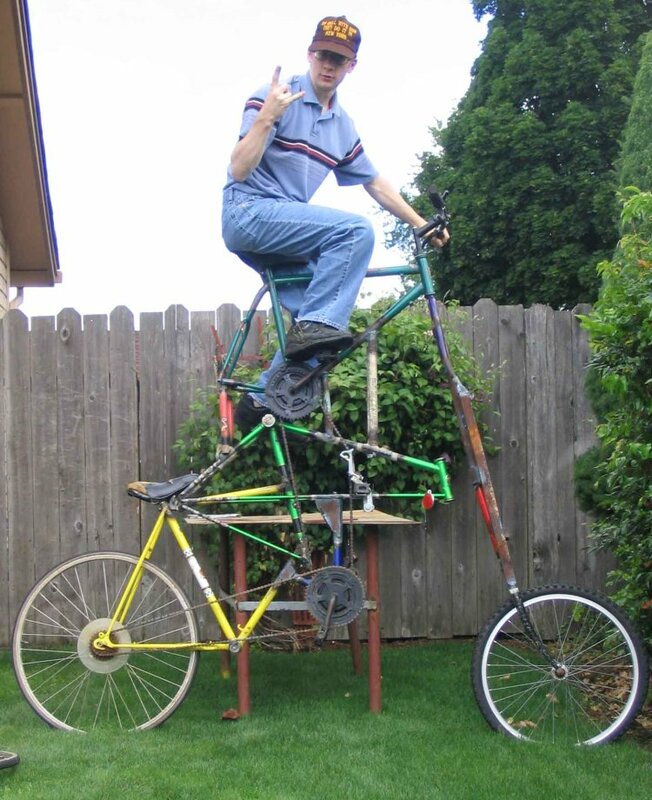 After seeing how a lot of military items have been re-purposed and watching a few of the old Professor videos, I have decided that my next project for home will be making a Tall Bike. What is a tall bike you ask? Absolutely awesome is what I would say. 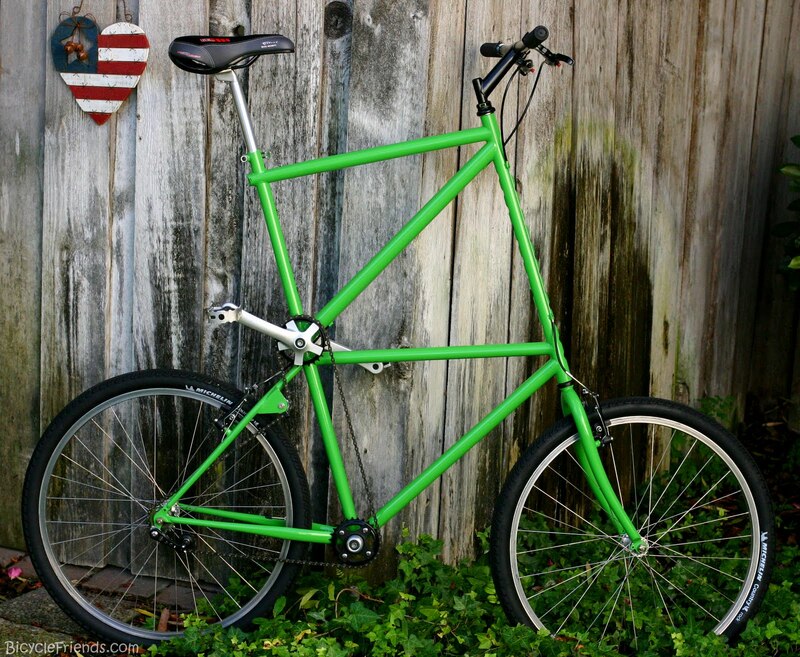 The legitimate answer would be it is essentially two to three bikes welded together to form one really tall bike that is not easy to get on or off of. My hopes are that it will look something like the one pictured above. However, due to budget constraints and my love for things that work instead of look good it may appear like the one below. Just like here at EXAIR, even at home I am constantly thinking of new projects. One of the newest projects that has wrapped up at EXAIR is the expansion of our Digital Flowmeter family. These meters are now available to help you monitor your compressed air use on 1/2″ through 6″ schedule 40 iron pipe OR 3/4″ through 4″ Type L copper pipe. The EXAIR Digital Flowmeters are simple to install and include a drill guide, drill and jig to make the process even easier. Also available is our USB Data Logger or Summing Remote Display to further the ease of collecting your compressed air use data. If you want to compare two different lines that are the same size you can simply use a set of block off rings to clamp off the probe area while the Digital Flowmeter is in use on the other line. This means you can easily use a single Digital Flowmeter and a few sets of block off rings to monitor all of your compressed air lines that are the same size. These Digital Flowmeters are an essential first step toward understanding where your air is used, when it is at its highest use and where it is used. With this understanding, you can begin to work on making your air system more efficient and using your compressed air more effectively. Using flowmeters to monitor compressed air is the intelligent first step toward saving air and money for your company. Saving money on compressed air and operating an efficient system can help secure your competitive position now and into the future. If you have any questions or want to know more about our Digital Flowmeter family, feel free to contact us.